At Wipak sustainability mean preserving resources and developing innovative flexible packaging solutions to protect the freshness of food, and advancing the health and safety of patients. Wipak’s sustainability approach put actions like waste reduction, efficient use of resources (e.g. 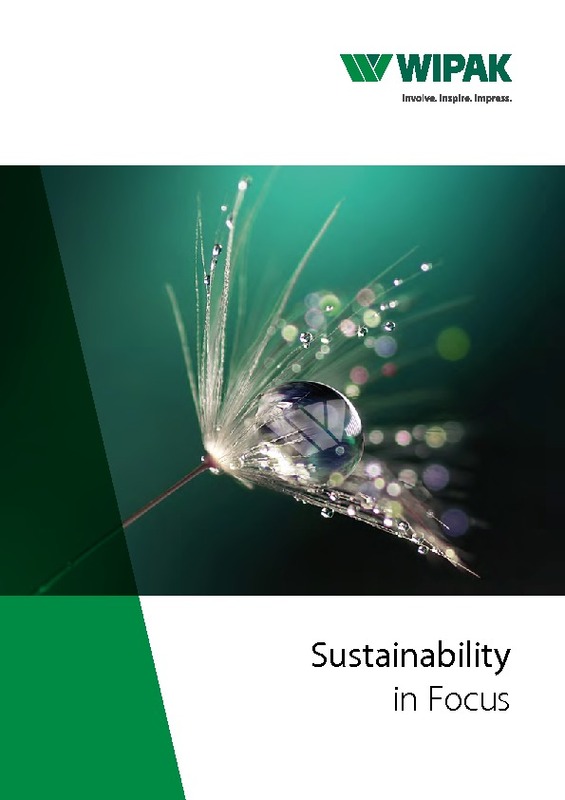 energy and raw materials), increased recycling and recyclable solutions, as well as development of films using alternative sustainable raw materials and new technologies in focus. As a member of the CEFLEX collaborative project Wipak is working with stakeholders from across the flexible packaging value chain to make flexibles even more relevant to the circular economy and increase the collection and recycling of flexible packaging by 2025. Wipak recognizes that sustainability requires an ongoing commitment to the identification and tackling of challenges as they arise. By including our employees, customers and partners along the supply chain, as well as local communities, we will continue to develop and reinforce our reputation in sustainability, and integrate life-cycle thinking in all processes along the value-chain. Together, we are striving to secure the environment for future generations, whilst also taking care of people’s health – both that of our employees and that of consumers. Read more about Our Sustainable Packaging Solutions from here! “Being Sustainable is a Journey.